Since 1978, Baumgardner & Associates has provided real estate and business counseling services which are dedicated to assisting clients in the completion of real estate and business transactions. Our services include a full spectrum of products, which are vital to the real estate and business transaction. Our conclusions provide the client with the information to make accurate decisions and succeed in the completion of a successful venture. Graduate Elizabethtown High School, Associate Degree in Real Estate, University of Kentucky. Having passing score on Appraisal Institute test for Real Estate Principles, Residential Valuation, Capitalization Theory & Techniques Principles Part A & B, Case Studies & Report Writing, Standards of Professional Practice & Business Valuation Seminars, Nashville, TN. Have attended seminars on appraising with American Association of Certified Appraiser, Appraisal Institute, Society of Farm Managers and Rural Appraisers, Society of Real Estate Appraisers, and the Kentucky Association of Realtors. Instructor of Real Estate for Elizabethtown Community College Education Foundation and approved for instructor by Kentucky Real Estate Commission. The Appraisal Institute conducts a voluntary program on continuing education for its designated members. MAIs and SRAs who meet the minimum standards of this program are awarded periodic certification. Rick Baumgardner, MAI, SRA, MRICS, GAA is currently certified under this program. Appraisal Institute – MAI, SRA member of the Appraisal Institute, serving on a variety of committees, including experience review. Served as Chapter President in 1995. Served as Regional Rep for 6 years and served on Regional Nominating Committee for 4 years. Currently serving on Chapter Board of Directors and Governmental Affairs Committee. Served an 8 year term on the Appraiser Qualifications Board; elected as Chair 3 years. Past Chair of the Appraisal Practices Board. American Society of Appraisers – ASA designated member, member of Indiana Chapter. International Right of Way Association – Past Regional Chair for the states of Wisconsin, Michigan, Illinois, Indiana, Ohio, Kentucky, and West Virginia. Four years as National Director, State Chapter President in 1995, currently serving on Chapter Board of Directors. RICS (Royal Institution of Charter Surveyors) – MRICS designation and member. Appraisal Foundation – Past Trustee for the Appraisal Foundation, two terms – past committee assignments were Audit Committee, Officers Nominating Committee, Task Force on Sponsor Relations, Oversight Sub-Committee of the Executive Committee for ASB and AQB. Served an 8 year term on the Appraiser Qualifications Board; elected as Chair 3 years. Past Chair of the Appraisal Practices Board. National, State & Local REALTOR Association – Served 3 terms as local President and voted 1980 and 1985 local REALTOR of the Year. Served as State President for KAR in 1990 and voted Stated REALTOR of the Year in 1991. Served for 6 years as National Director, Chairman of Appraisal Section of NAR 1996. Served on a variety of committees at the local, state and national level. City of Elizabethtown, Hardin County Fiscal Court, City of Hodgenville, Department of Community Development, Elizabethtown, Department of Community Development, Bardstown Kentucky. Kentucky Highway Department, Department of Housing and Urban Development Louisville, Kentucky. Veterans Administration, Louisville, Kentucky, Breckinridge County Fiscal Court, Breckinridge County Kentucky, Kentucky Housing Corporation Approved, Finance Cabinet Commonwealth of Kentucky, Federal Deposit Insurance Corporation (FDIC) & Resolution Trust Corporation (RTC), IRS, and others. Cecilian Bank, First Citizens, United Bank, Commonwealth Mortgage, Trans Financial Bank, Lincoln Service Corporation, Cowger and Miller, PNC Bank, Ft. Knox Credit Union, Charter Mortgage Company, National City Bank, Wilson & Muir, Bank of Magnolia, First Federal, Your Community Bank, WesBanco, CITI-Corp, Kentucky Mortgage Company, Liberty National Bank, Banc One, Republic Savings Bank, Farmers Deposit Bank, PNC Financial Services, Farmers Bank & Trust, Fifth Third Bank and others. Gates Rubber Corporation, Employee Transfer Corporation, Brown & Williamson Tobacco Company, Merrill Lynch Relocation Management, Kentucky Utilities Company, Nolin Rural Electric Coop., Equitable Relocation Management, Homequity, Chemical Relocation, Bank of St. Louis Relocation, Elizabethtown Sportswear Corporation, Executrans Relocation, Relocation Realty, Relocation Resources Inc., Transamerica Relocation Services Inc., Exxon USA, Newcomb Oil Company, Spank Oil Company, Kroger, Resolution Trust Corporation, FDIC & others. Various in Elizabethtown, Hardin and surrounding counties. Certified General Real Property Appraiser, State of Kentucky Number 0377. Certified General Appraiser, State of Indiana Number CG40300240. Chairman of Elizabethtown Planning & Zoning Commission – 1988-1996. 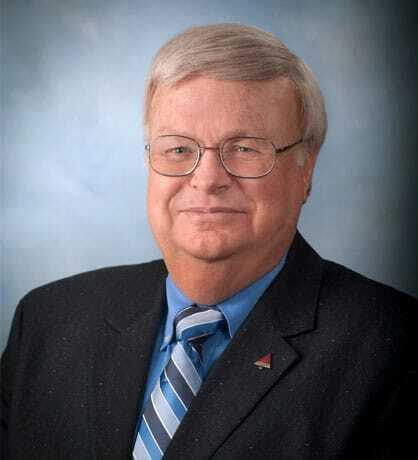 Chairman of Hardin County Planning & Zoning Commission – 1997-2014.